Mix the rest of the pork ingredients in a large bowl. Mix the pork into the sauce. Line a loaf pan with foil and shingle the thin pork slices into the pan. Keep piling them on until all the pork is in the pan. 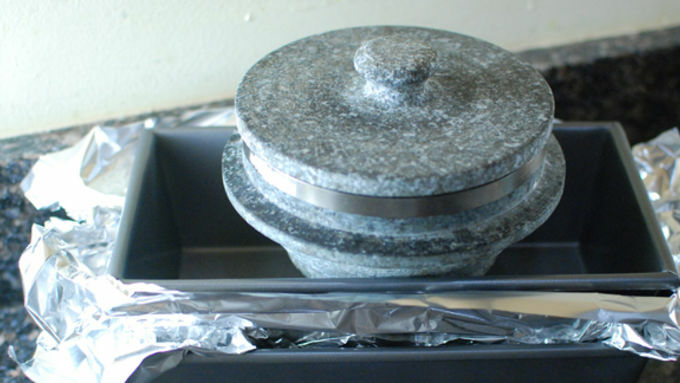 Top with more foil and press down with another loaf pan. Put a heavy oven save item on top. Put this whole rig onto a sheet pan. Allow to marinade and press at room temperature for a half hour. Bake at 275°F for 3 and a half hours. Some fat will splash out of the pan, but the baking sheet should catch it. Meanwhile, make the slaw. Thinly slice the cabbage, jalapeños, and cucumber. Chop the cilantro. Put all of the ingredients into a large bowl and mix well. 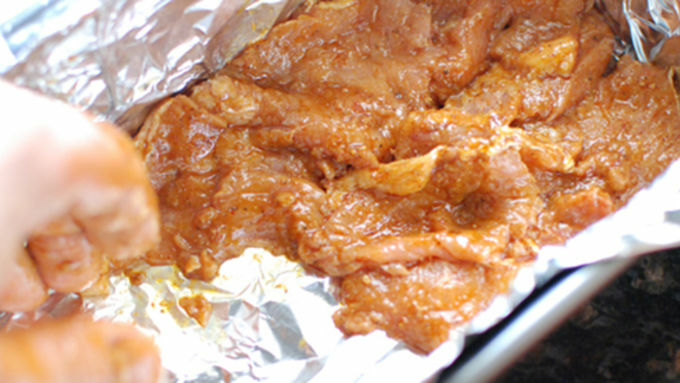 Allow to marinade for 30 minutes before serving. Let the pork rest about 15 minutes uncovered. Remove from the pan gently. Slice the pork. Some will fall apart and some wont, but it will all be delicious. Finally, grill the tortillas until some spots are blackened. Serve with pork, cheese, and top with the slaw. Tacos al pastor usually take some pretty complicated preparation involving marinated, stacked and roasted meat on a spit. I’m here to take out the complication and help you make an easy version at home! 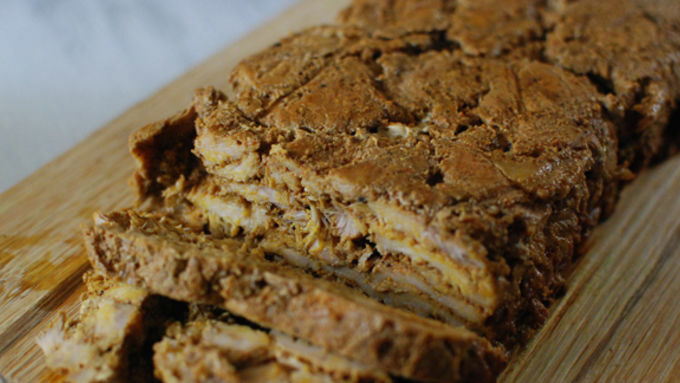 This take on al pastor tacos still marinates and stacks the meat, but instead of roasting it on a large spit, we just cook it slow and low in a loaf pan while pressing it. 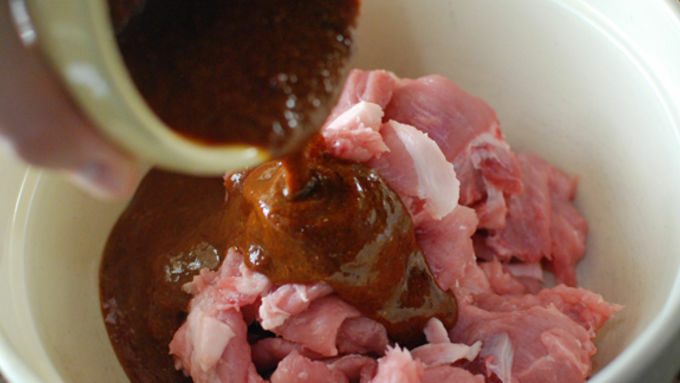 The marinade and slow cooking really helps develop some deep, delicious flavors. 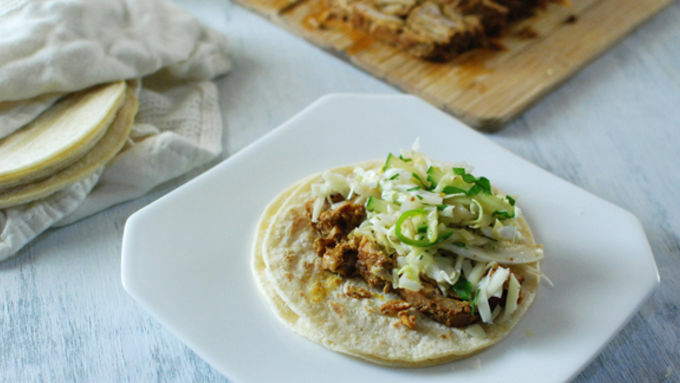 These tacos al pastor are a unique and flavorful alternative for your taco fix. Here we go! 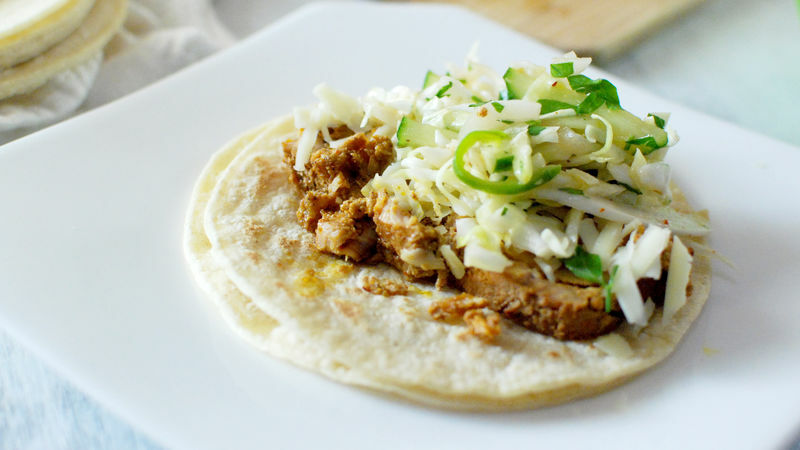 A green chile cabbage slaw is the perfect cooling compliment to the savory spicy meat. Enjoy!